Celebrate the Fourth of July with Jersey City’s Second Annual JERSEY CITY FREEDOM & FIREWORKS FESTIVAL at Liberty State Park! This event-packed day includes live music, children’s entertainment, amusement rides, a smorgasbord of food and drink options, and a breathtaking fireworks display by Grucci highlighting the Statue of Liberty and Ellis Island. The Festival will benefit Special Olympics New Jersey to send their qualified participating Olympians to the L.A. World Games. Our Summer Program for outside students grades Pre-K 3- 5th is beginning Monday, the 29th. Where will your child be this summer? Join The Brunswick School’s summer program for an incredible summer adventure filled with outdoor play, field trips, weekly themes and special events and a chance to make great friends! We look forward to seeing you soon! We are thrilled to announce that the wait is finally over! The Brunswick School will officially open our doors to welcome your children on Monday, July 6th. The excitement level here is high knowing that our halls will be filled with laughter and our new classrooms will now be occupied by happy learners! Thank you so much for your continued patience and your support. We look forward to seeing you all soon! 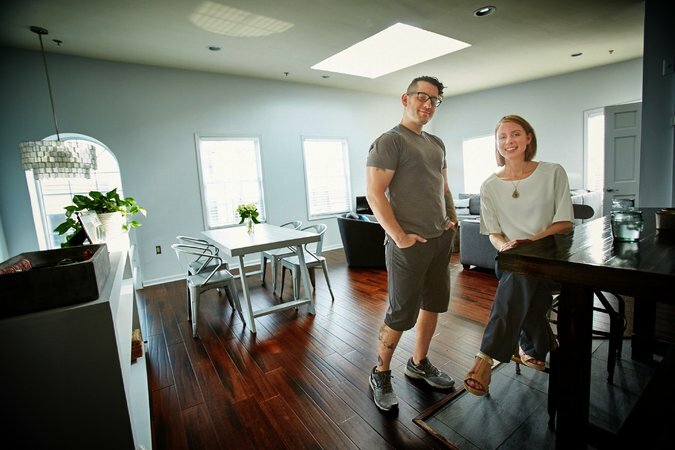 Chris Maiurro and Kathryn Bringle searched for an apartment in Brooklyn, Queens and Manhattan, before ending up in New Jersey. Would you like to see this extension happen? The bridge would extend Jersey Avenue into Liberty State Park. CHANGE YOUR LIFE IN JUST 10 WEEKS WITH THE MAX! “Making Art Dance,” one of many installations seen at Mana Contemporary, included a David Salle backdrop and costumes for “The Elizabethan Phrasing of the Late Albert Ayler,” a ballet. Photo by Joe Schildhorn. Read more via Jersey City Artists.